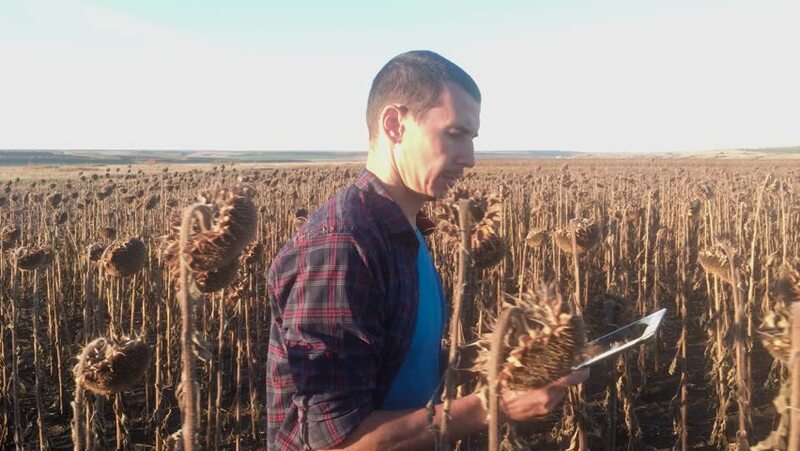 4k00:22Farmer agronomist holds tablet touch pad computer in the sunflower field and examining crops before harvesting. Agribusiness concept. Agricultural engineer is walking along a sunflower field.